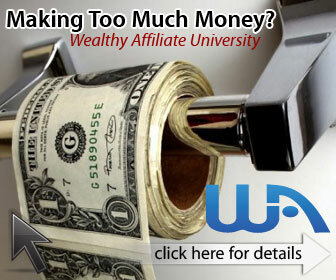 What if you decide that affiliate marketing looks like too much work and you just want to get a paycheck? Are there any ways to do a set amount of work and get a paycheck much like you are going to an ordinary job? One of the easiest ways is one of the easiest ways to perform work in exchange for money online is to offer your services at Elance.com. You would create a profile for yourself that tells what you do and then bid on jobs. In the beginning you may have to take some rate cuts in order to get new clients, but once you have proven the quality of your work be sure to charge what you are worth. For some people they don’t want to have to market themselves in this way and so they really are looking for a type of job where someone tells them what to do and they do it and they get paid. If this is what you’re looking for there really are some options for you. You could become a Google rater: Google, the monster search engine, hires people to work from home evaluating websites. They get paid weekly from $10-$20 an hour. The work may become tedious but it’s real work from home. Google does not hire these people directly. Three companies do the hiring for Google instead. They are Lionbridge, Leapforce, and WorkForce Logic. In order to get hired, you’ll need to apply with one of these companies. You could also become an online psychic. This may sound ridiculous but it is not. If you don’t have any psychic skills, then you probably shouldn’t apply for this one. But if you are already psychic then Certified Psychics Network may be interested in hiring you. You could also work online as a virtual assistant. Many people create a virtual assistant job for themselves and market themselves with a website and are in charge of their own hiring and payment collection. If this is not for you then you can get involved with a company like virtualassistantjobs.com. The one thing I must stress is that if you have to pay an application fee or hiring fee or if you have to pay the company money in any way then there is a good chance you are falling for a scam instead of getting a job. Be sure you are not paying for your virtual assistant job. Some people wonder about taking online surveys and mystery shopping. These are both very valid ways of making a paycheck online, but the problem is that there is not a lot of money involved. You can sign up to be a mystery shopper but unless you live in a very busy city there is a chance that you won’t get more than one mystery shop a month, if that. Since you usually don’t make more than $10 a shop, that’s not a lot of money. With taking surveys online, you can take a survey every few days but many times each survey only amounts to $.50 or so – so again, this does not add up to very much money. Two more places where you can sign up to make a paycheck online are iWriter.com and Demand Studios. For iWriter, You sign up and say what kinds of articles you are willing to write and then iWriter will provide you with article orders. You write the articles and you get paid. The amount that you get paid can be quite small, or it could be not too bad. It’s up to you if the rates will work for you or not. For Demand Studios, you have to submit a resume and if you are accepted you can pick out of available articles. They pay $15 an article every 2 weeks via paypal. So I hope this is very helpful to you in your quest to find an online paycheck! Just get started, you never know what your jobs will evolve into.